The most rich men in the world are born under the sign of Virgo. When the owners of billions of dollars talk about how they earned their money, we usually here about perseverance, labor, business flair and a great desire to get things done. Of course, we understand - not everyone can become a billionaire. But it turns out that the probability increases if you are born under a lucky star. 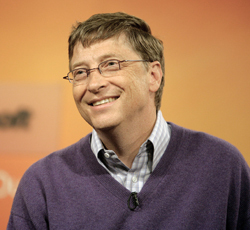 It turns out that most of billionaires from the Forbes list are born under the sign of Virgo. This conclusion was made after the careful analysis of the statistical data on dates of birth of the richest people in the world. for now the study included 613 billionaires from all the 793, whose names appeared in the list of Forbes. Of these 613, more than 70 people (or 12%) were born in the period between August 23 and September 22. Maybe for someone it will seem strange that these people (most of them are men, of course) are patronized by the most "feminine" sign of the Zodiac. But in fact this is not surprising. Virgos, as you know, are the hard-workers, confident in their actions. They always pay a lot of attention to the details and differ with the excellent analytic thinking. Astrologer Michael Latin finds that millionaires do not really care too much about money. And all their great deeds do not come from the passion for money, but from the desire to achieve excellence in their favorite business. Vir gos, that are destined to become the owners of large states, are very happy when they are able to bring happiness to people by providing them with necessary goods and services. 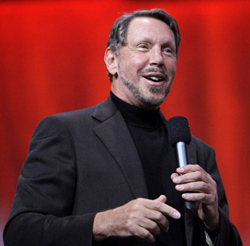 Among the most famous American millionaires two are Virgos - Warren Edward Buffett, the owner of the second largest state, the owner of "Berkshire Hathaway", and the "Oracle" CEO - Larry Ellison . But do not give up, even if you were not born under the sign of Virgo. According to the Forbes research, billionaires are also born under the other 11 Zodiac signs. Energetic Aries are 8% of the list. Among them, "Microsoft" vice president Steve Ballmer and the founder of the IKEA stores - Ingvar Kamprad. The same number of world's richest people are born under the sign of Aquarius - idealists, such as the leading world-famous talk show star - Oprah Winfrey. The most "rich" Zodiac sign is Scorpio, since it appears in the horoscope of Bill Gates. The astrologer says, "Scorpions (the main feature of this sign is passion) succeed, because they are ready to do almost anything for that. Their task - to make others dance to their tune, even if they by themselves do not want it. Many people, for example, are buying "Windows", although they nearly hate it." The smallest amo unt of billionaires - only 6% of the list - were born under the sign of Sagittarius.Apparently, some typical character traits are preventing Sagittarius from becoming seriously rich: lack of organization or even laziness, and inability to see the details behind the main picture. Astrologer David R. Reilly explains that Sagittarians always rely on their good luck and divine providence, but sometimes they are lacking business acumen. However, it can be compensated by the creative potential, which is huge in Sagittarius. So it is not surprising that among the billionaires, born under the sign of Sagittarius in the Forbes list there are named the Hollywood director Steven Spielberg and producer Arnon Milchan. In the financial world there are also "golden calves" - those who were born under the sign of Taurus and earned millions. Like any bull, which is their sign, these people differ with their resistance, hardness, and often stubbornness, and they rely solely on their own common sense. For example the billionaires, who earned their fortunes in the production of goods for the consumer market - the co-founder of "Red Bull" - Dietrich Mateshittz and James Dyson - the creator of "Dyson" vacuum cleaners.